Let us handle your home maintenance, home repairs, and home improvements, and get $25 off any handyman service. 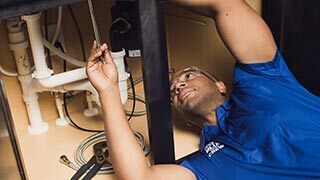 Turn to the experts at Sears for repair and installation jobs around the house that require someone handy. 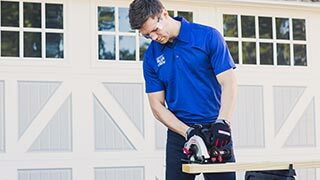 Sears Handyman Services can tackle these handyman jobs for you. If you don’t see the service you need listed here, call to see if it’s available in your area. So little of the time needed to paint a home is the actual painting—it’s all the prep work and the cleanup. 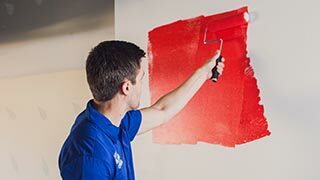 Sears Handyman Services provides interior painting, complete with all the preparation and cleanup. We can also do the messy, difficult job of removing wallpaper. 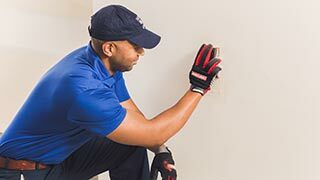 If your drywall has holes or cracks too large to cover with drywall patch, or has been damaged by standing water, call Sears Handyman Services. Sears repairs damaged drywall, and installs and tapes new drywall. New floors give a room a new look, and Sears Handyman Services installs hardwood, laminate, tile and vinyl. 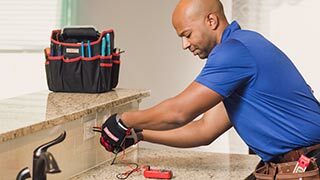 If you’re not comfortable making minor electrical repairs, let a Sears Handyman technician do them for you. We offer these electrical services, and more. Install or repair light fixtures, and more. Ask these important questions to find the best repair people for the job. 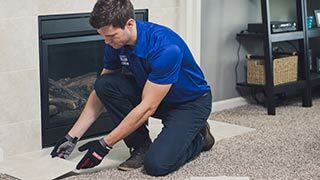 Choosing a service provider for home maintenance and repairs can be tricky, especially for new homeowners who have never had to deal with a furnace on the fritz or a fridge... Read more .